Knesia Sholdra is the Director of Ticketing for the Toronto Rock, a position she’s held since 2015. 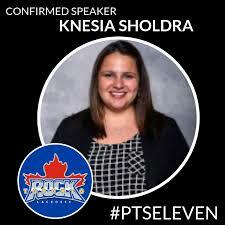 A graduate of Brock University, Sholdra spent seven years in sales positions with the Toronto Argonauts prior to joining the Toronto Rock. She has held positions with organizations such as Tennis Canada and the Canadian Lacrosse Association.